This entry was posted on February 7, 2019 at 7:00 am and is filed under Burgundy, Chablis, France. You can follow any responses to this entry through the RSS 2.0 feed. You can leave a response, or trackback from your own site. Thank you so much for this beautiful review! I worked on the translation with Burton, and it was awe-inspiring to say the least. I hope we succeed in distributing this very unique book about Burgundy, and thank you for your help! My pleasure — and I mean that literally. Thanks, Tom. 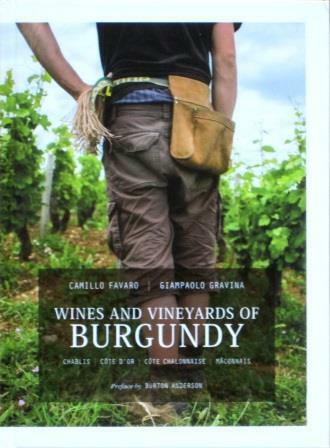 I can’t wait to read an Italian take on Burgundy. And your take on Burton Anderson is also spot on — every word he has to say about wine is gold. Amen to that: for all of us anglophones who write about Italian wine, he is the great pioneer and model. Thank you very much for this information – I am sure I shall enjoy reading this book. From what you say I understand Burton Anderson has contributed to it, which means he is still active. Or he was until recently. His Vino was the book that guided me for many years, but given that his blog ended in 2013, and that I have not seen any recent publication bearing his name made me think he had stopped writing. Can you clarify? Thank you in advance. I don’t know much more than you do, I’m afraid. I think Burt was working on a novel, but I haven’t heard from him in some time (that’s at least as much my fault as his). I don’t think he has been doing much wine writing, but I hope I’m wrong about that: I value every word he has to say about wine.